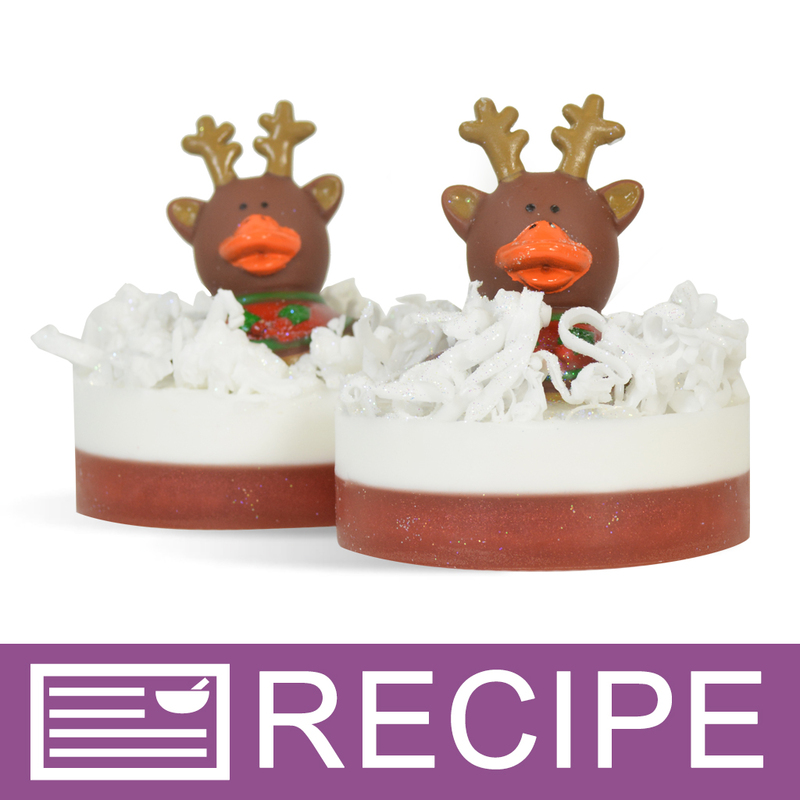 This cranberry scented soap is topped with cute reindeer toys. The reindeers are decorated with an assortment of five different outfits. Children will love taking home their favorite reindeer or receiving one of these adorable soaps in their stocking! Get creative by adding the reindeer’s name to the packaging. You Save $24.00 by purchasing this kit rather than buying the items separately. COMMENTS: This is a winner!! The kit is complete, that is everything is there even spritzer bottle and grater. And the results are adorable. Pretty much comes out like pictured. I fully recommend this. Be sure to read through the directions a couple of times before starting the kit. • Good directions but read through first. • I would prefer gussetted bags.